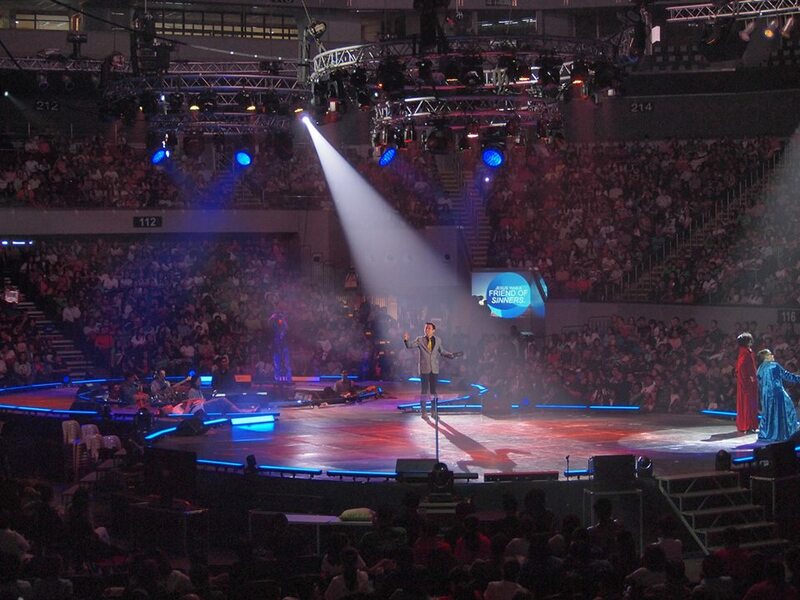 You’ve been thinking about Holy Week and you’ve been planning what to do during your downtime with the whole family. By now, you’ve probably finished listing down the churches to visit for the traditional Visita Iglesia. You’ve probably decided where to bring the family for a fun Easter Egg Hunt on Easter Sunday, too. Now, while we’re all looking forward to some moments of silence and reflection during the upcoming Holy Week, how about scheduling a special “date” with your loved ones at the Mall of Asia Arena before heading on to your favorite Easter Egg Hunt? 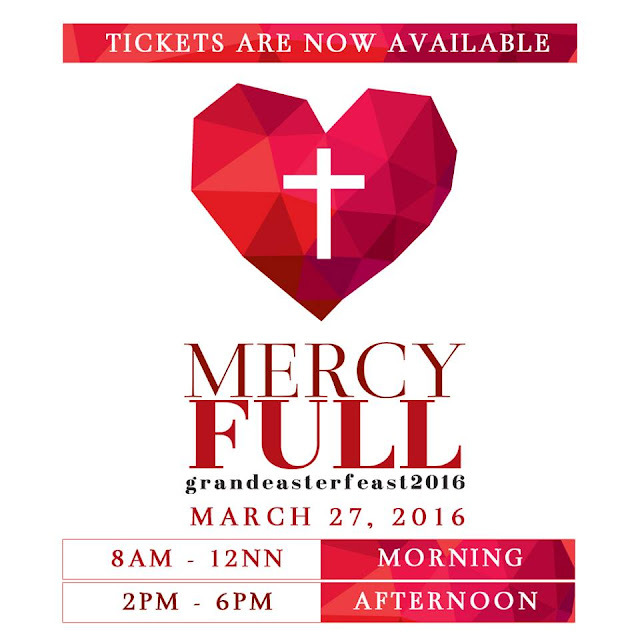 Yes, one of the country’s premier event venues is set to be filled again with thousands of people from all walks of life, coming together to celebrate the most anticipated day for Catholics all over the world via the Mercy Full Grand Easter Feast (GEF) 2016, happening on Easter Sunday, March 27. The GEF will have two sessions: 8:00 AM – 12:00 NOON (morning session) and 2:00 PM – 6:00 PM (afternoon session). As we celebrate the year of mercy, we realize that one of God’s greatest gifts to us is His forgiveness. Our Easter celebration invites us to understand the depth of God’s mercy and breathe in His love, so that we may, in turn, extend mercy and love to other people. There will be an Easter Mass by Fr. Joel Jason and Fr. 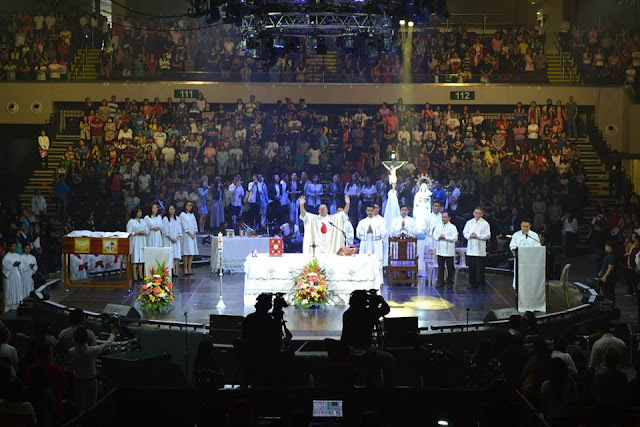 Mario Sobrejuanite, life-changing talks by Bo Sanchez, Fr. Bob McCognaghy and Monching Bueno, and powerful worship by the Kerygma Worship Team. You definitely don’t want to miss this! Experience all this and more for only PHP 200.00. Buy your tickets now at www.smtickets.com or at any SM Tickets outlet nationwide.